THE star performer in the Pallinghurst Resources stable – Jupiter Mines – has launched its third buy-back offer of the last 12 months undertaking to purchase $42m worth of shares. As Pallinghurst owns 18.4% of Jupiter, it stands to receive almost $8m (R94m) in March, the company said in an announcement today. Jupiter owns Tshipi é Ntle Manganese Mining (Tshipi), a manganese miner operating in South Africa’s Northern Cape province. 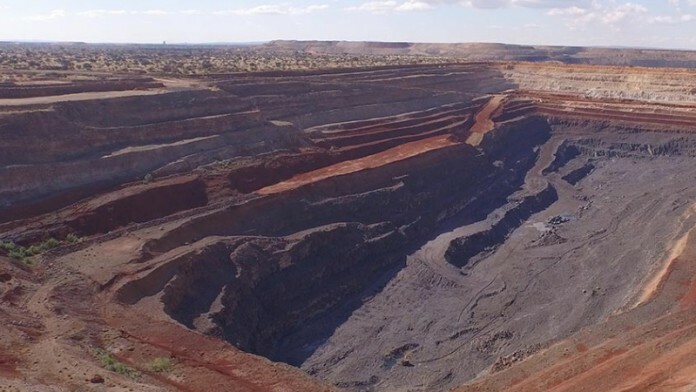 Pallinghurst also announced that Tshipi will close its financial year on February 28 with record sales of some 3.3 million tonnes and record net income of $160m. “Jupiter has exceeded expectations in every way,” said Arne Frandsen, CEO of Pallinghurst. “Tshipi’s strong performance has seen it almost double its distribution,” he said of the $25m buy-back announced in November, which followed an March buy-back totalling $55m. “The sustained production increase at Tshipi, along with strong profitability, are providing the perfect platform as Jupiter looks to relist on the Australian Securities Exchange,” said Frandsen. Shares in Pallinghurst were unchanged today on the Johannesburg Stock Exchange which values the company at R4.4bn. Regarding the latest buy-back, all Jupiter shareholders are to be made an equal offer to have 5.82% of their Jupiter shares repurchased, at a price of US$0.35 per Jupiter share. The buy-back is primarily being funded by Jupiter’s 49.9% share of a R1.1bn distribution from Tshipi, along with the profits earned by Jupiter’s manganese marketing business. In December, Pallinghurst said it would embark on a buy-back programme of its own as part of a strategy to improve its investment appeal. It is also seeking a listing in London as part of a six point plan which started with the buy-out of minority shareholders in Gemfields and executive management changes. It also said it would seek to improve its exposure to steel feed minerals through Jupiter Mines – an approach that explains the deployment of Pallinghurst executive Priyank Thapliyal who is now CEO of Jupiter Mines. Brian Gilbertson, the founder of Pallinghurst Resources, has eased off slightly taking the non-executive chairmanship of the company. Brian easing off is probably why the market is starting to look at it! Pity he’s not easing off his drawings at the same time!